ABOUT MATTIAS | Mattias joined Accenture after graduating from the University of Uppsala. During his career he’s served in many senior leadership positions in regions across the world including Asia Pacific, Europe and Latin America. Mattias has a long successful track record in the Communications, Media and High Tech industry; both as a thought leader and as a lead of transformational change programs for some of the largest and most admired companies. WHAT'S ON THE HORIZON | We should expect more—and accelerated—disruption of business models and competitive strategies from further globalization and digital innovation. It might appear obvious for most industries. But even for the public sector the impacts will be transformational. Nearly all aspects of public services are now spanning beyond the borders of our country. Crime is international, tax is a global matter and all government authorities need effective ways to maintain ties to an increasingly far-flung citizenry. Regardless of industry, all organizations must effectively consider this increasingly globalized world. Regarding digital; the tidal wave of innovation around Internet of Things (IoT) constitutes an enormous business opportunity. Soon all products that can be will be connected and contain smart embedded technology. IoT will transform our traditional product manufacturers into service providers—and revolutionize their customer relationships. It’s also an area with unlimited growth possibilities for Sweden. ABOUT ANDERS | Anders leads the Communication, Media & Technology group in Sweden. He is also the global account lead for Telia Company. In addition he also leads the global industry segment for Communications Technology, which includes market analysis, research and knowledge management to strengthen Accenture’s capabilities in this prioritized industry. WHAT'S ON THE HORIZON | The Communications, Media & Technology industry is undergoing a large transformation in terms of investing in new technologies and focusing on consolidation. Intense competition in all industry segments is a key characteristic of the industry. Accenture is proactively investing and growing its capabilities in order to stay relevant and take on a larger role. We have introduced business services, we are growing in transformation and outsourcing, we are broadening our skillset in networks, and we have commercial structures that reflect our accountability for value realization. ABOUT SOFI | Sofi leads the Financial Services Group in Sweden, covering the Banking, Capital Markets and Insurance industries. Through her many years of operating in the intersection of the banking- and IT-industry, she has gained substantial experience and thorough understanding of the requirements, challenges and opportunities in the Financial Services Industry. Sofi has a strong record of accomplishment of intimate work with Clients and leading successful engagements - enabling business critical transformations. Since joining Accenture, she has successfully contributed to strengthening partnerships and enabled transformations with large Nordic Banks in areas such as digital transformation, analytics, risk and regulatory agenda. WHAT'S ON THE HORIZON | Banks today need to decide their strategic place in the marketplace: To act as "everyday banks", providing a range of services. Or going for niche plays made possible by digital. It's a journey we're helping our clients through more and more as they face increased competitive threats from within—and outside—the industry. ABOUT JAKOB | Jakob assumed the role of Sweden Country Lead for Health and Public Service in 2018. Jakob has previously worked with clients in the private sector where he has been instrumental in leading large-scale, end-to-end transformations in Banking, Telecom, Automotive, Manufacturing, and Distribution & Logistics. WHAT'S ON THE HORIZON | Digital is changing the way health and public services are delivered and consumed. The biggest challenge lays in helping our clients open their organizations to an ecosystem of third-party players. Ones that will enable them to create innovative ways of serving their stakeholders. ABOUT JOHAN | Johan has been with Accenture since the mid 90’s, focusing on technology enablement through all the stages of the delivery life-cycle. Since 2010, Johan headed up the SAP practice. 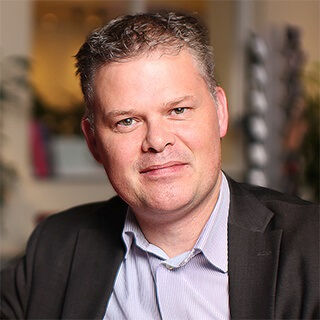 And in 2014, Johan assumed the position of Accenture’s Technology lead in Sweden. Over the course of his career, he’s played a critical role in a number of large-scale business and IT transformation programs over the years, with a focus on packaged software implementation. WHAT'S ON THE HORIZON | We see a continued strong drive for innovation and emerging technologies across all the platforms that our Technology services span. The demand for solution specific expertise and skills is increasing. Since some time now, there is a growing focus on Cloud, with a continuous development of new Software-as-a Service concepts and solutions. The delivery models for systems integration and IT outsourcing work continue to evolve, and there is a general increase in the demand for highly cost efficient delivery setups. Accenture’s unique combination of strong local presence coupled with global reach and a significant off-shore capacity provide our clients with a strong delivery capability. ABOUT MALIN | As country HR for Sweden, Malin ensures that HR delivers on its mandate: to provide high quality service to support the growth of Sweden. Among her various efforts, Malin oversees recruitment, the talent supply chain, business partnering and human capital development. Malin has a broad business background and before joining Accenture she worked as HR Business Partner for Siemens. In that role she served as a member of the management team within the company's healthcare unit. WHATS ON THE HORIZON | Our focus is to grow Accenture´s diverse portfolio with the best talents in the market. And continue building on our existing strengths. Doing that means providing employees with compelling career opportunities and foster leadership. HR plays a critical role in driving the ongoing evolution of our workforce to meet the ever-changing needs of the business in today's fast-paced digital environment. ABOUT FREDRIK | Fredrik has worked with Management Consulting assignments across many of our industries. His major area of focus for the past 12 years has been in Resources. Fredrik has worked with clients in all of our three Resources sub industries: Utilities, Energy and Chemicals and Natural Resources. Along with his role as Resources lead for Sweden, Fredrik serves as Chemicals & Natural Resources Lead for the Nordics. WHAT'S ON THE HORIZON | We are bringing deeper industry skills and a truly global delivery model to our clients to offer the best mix of skills and cost effectiveness. The ability to serve our clients, seamlessly, wherever they’re located is something that is getting even more important as they grow their businesses outside of Sweden. ABOUT MARIE | Marie began her career with Accenture working on major systems integration projects in Sweden and other countries. For the past ten years she has worked in the application outsourcing market in the Nordic region. And two years ago, she took the lead role in Accenture Services AB, Accenture’s organization that focuses on outsourcing. WHAT'S ON THE HORIZON | When I began working in the outsourcing marketplace a decade ago, there wasn’t that much offshoring happening. Now it’s a major component of most of our deals. And while our competitors can deliver the offshore half of the equation, they’re not strong on the local support. It’s having both that makes the solution a success. I think it’s one of the reasons why the Nordic region is leading Europe when it comes to more sophisticated outsourcing solutions. ABOUT ANNA | As country director of marketing, Markelius oversees a broad range of efforts—from advertising campaigns to one-on-one client sales campaigns, recruitment marketing, internal communications and public relations. Before joining Accenture, she was Nordic marketing and communications manager at EDS. WHAT'S ON THE HORIZON | We’re continuing to strengthen our brand by emphasizing the delivery impact we have with clients. Since consulting can be a difficult industry to understand, our new messages are zeroing in on specific industries and companies and detailing the benefits we bring to clients. After all, there’s nothing more differentiating than results. ABOUT JERKER | Jerker leads our Client Financial Management team in Sweden and is controller on the Nordic level for the industry group Communications Media and Technology. Jerker’s career has spanned a number of roles including investment advisor, financial services shared services leadership, and other aspects of financial management. WHAT'S ON THE HORIZON | It’s about keeping up with digital disruption, a force that impacts Finance as much—if not more—than any other area of the business. We’re grappling with this massive amount of data that’s coming in at new levels of speed. And turning that data into insights that guide our practices. Helping them work in a more agile fashion. ABOUT MATTIAS | Jonas is a senior delivery lead within Accenture Digital. He has deep experience from delivering complex systems integration, application outsourcing and BPO work to clients in the retail and logistics industries. 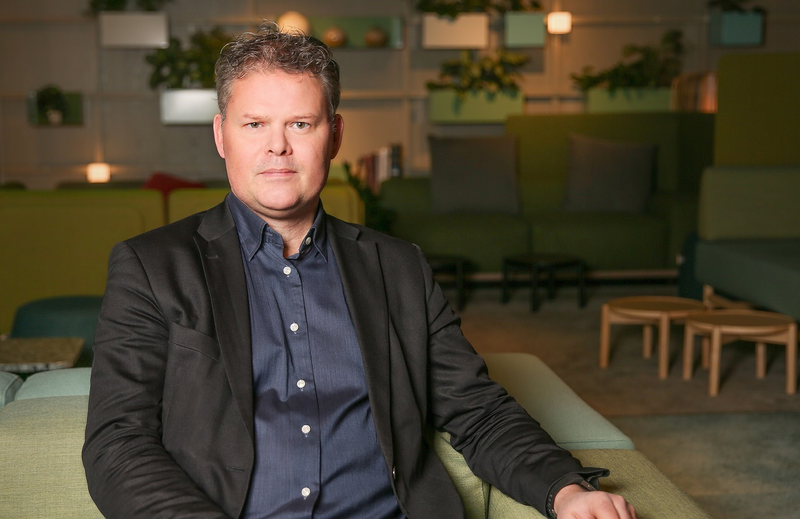 Currently Jonas is engaged in a digital transformation effort at a leading global brand and is responsible for digital delivery overall in the Nordics. WHAT'S ON THE HORIZON | They say that in five years, only 10 percent of the Fortune 100 will still be in existence. That's largely thanks to the disruptive changes brought by digital. We talk about the intersection of business and technology and that's because it's never been so crucial. It's gratifying for me to work to help them develop strategies built to win, based on digital. ABOUT ANDERS | Anders has been with Accenture for almost 15 years. During that time, he has focused primarily on finance, business strategy and analytics in banking, utilities, consumer goods, high tech and telco industries. Anders’s specific focus lies in strategy execution, digital finance, operating model design and large and complex transformations. Anders is also the Nordic lead for Digital finance strategy. WHAT'S ON THE HORIZON | Many industries are undergoing significant change driven by changing customer demands and new digital technologies. This is fundamentally impacting the competitive landscape as well as business and operating models. Against this context, organisations are looking to understand the challenges that are facing them, evaluate strategic options and decide the best strategies to pursue and actions to take. Accenture Strategy is uniquely positioned to help clients deal with these issues having strong industry and functional skills combined with technology depth and implementation experience. Accenture Strategy aims to be the leading Strategy consultancy at the intersection of business and technology. ABOUT ERIK | Erik has 15 years of experience at Accenture, helping many Swedish and international companies with different transformational programs. He has worked within a variety of industries including retail, consumer goods, food packaging and postal services. For the last three years, Erik has specialized on the digital customer journey and has an in depth understanding of the client challenges and opportunities that comes with different omni channel and supply chain strategies. WHAT'S ON THE HORIZON | Technology advances are blurring the boundaries between the digital and physical worlds. Intelligent, interconnected systems now seamlessly support activities along the entire value chain. What does this mean? It means reduced costs and improved efficiencies. It means greater speed and scale. It means smarter products and services. It means organizations need to build a foundation that copes with constant change both in people, systems and processes. And at the same time have innovation in the core. This is our obsession, to make our clients successful, by addressing people, systems and processes.